The Travel Channel just launched their new show “Hotel Impossible”. Think “Bar Rescue” for hotels with maybe just a little bit less yelling. 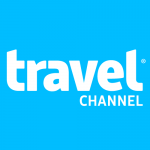 You can also find a bunch of great videos on the Travel Channel’s website here. This entry was posted in News & Notes and tagged hotel impossible, travel channel by TrueGuest. Bookmark the permalink.